Water is a vital part of our lives, let’s take care of it and celebrate the World Water Day. 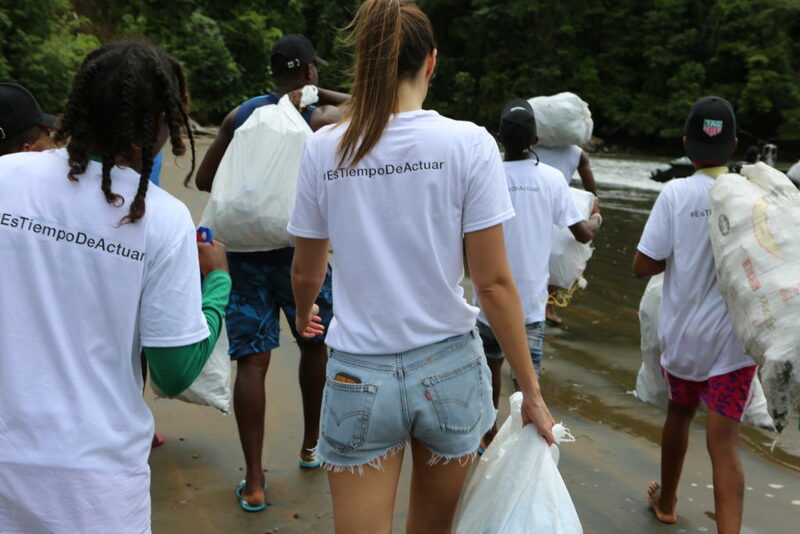 A few months ago, I was in Jurubirá, Chocó, in an incredible campaign that I started with TAG Heuer that we call #itstimetoact, in which I could see with my own eyes the immense amount of garbage and, mostly, plastic that reaches our seas. 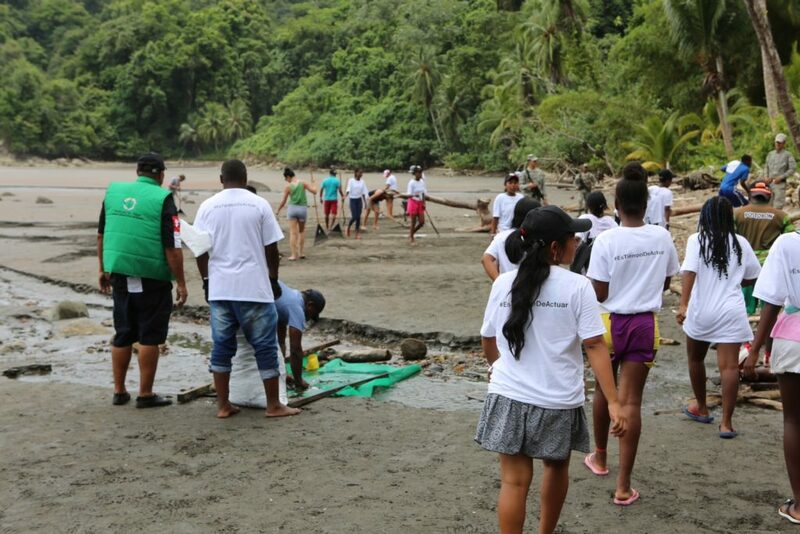 That day, together with local children, we collected waste on the beach. It was a really special visit; however, I know that there is still A LOT to do. Today, on World Water Day, I want to make special emphasis on the seas and rivers and I would like you to think about how important water is for all of us and how many times we take it for granted. This is part of seventy percent of our planet, and it makes up the majority of our body. Incredible, do not you think? Some time ago I decided to make several changes in my life to take care of the environment and, especially, water. I started with simple actions like not buying drinks that come in plastic bottles and starting to carry my own reusable thermos. I prefer glass containers and every time I try to use less plastic. Also, I have decided to say “no” to straws, straws or sorbets. I know these are simple things that seem insignificant, but believe me, everything counts. 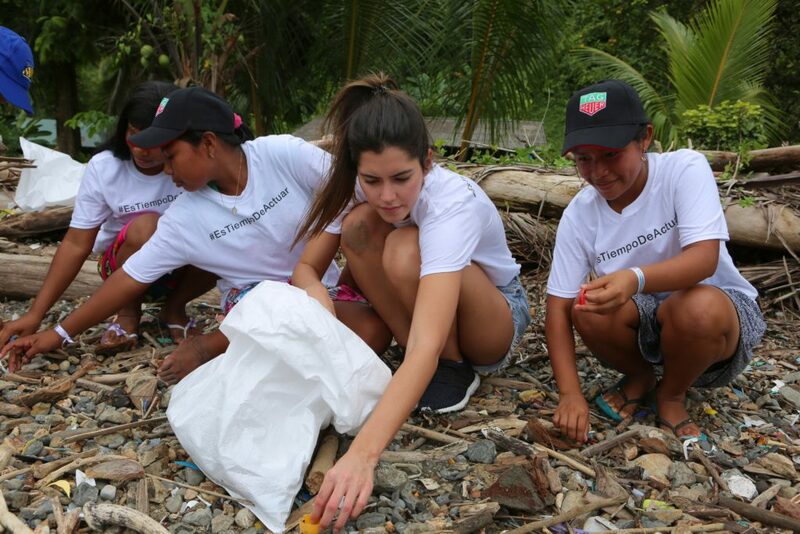 When I arrived at those beaches in the Colombian Pacific and saw the enormous amount of garbage and I became very sad. There were tons of waste in the sand and water! The worst of all is that this scenario is in many beaches and oceans around the world. It breaks my heart to think about what humans are doing to Earth. Did you know that there is so much garbage in the seas that there is now an island of about 80,000 tons of plastic and waste in the middle of the Pacific? This famous island of garbage, which floats between California and Hawaii, is already bigger than all of France. The images are chilling and seeing them only makes me more eager to fight for this cause. Now, the big question is: how can we start helping? For me, it is finding alternatives for plastic and single-use containers, and being aware of saving and caring for water. In my struggle to help turn this horrible picture around, I have understood that this must be a joint effort and that however small an action may seem, such as not using plastic bags or closing the faucet while you brush your teeth, it does have a great impact. I already started making changes, and I want to tell you something: it’s easy and it feels very good. What are you going to do? It is no secret to anyone that the planet is asking for a cry for help. It is in our hands to save the planet in which we live. Put everything on your part so that we can continue to celebrate the water today and every day. Take care of it, save it and keep it clean. The moment is now! Let’s do it together.